Kansas City’s Original Specialty Blonde Salon. 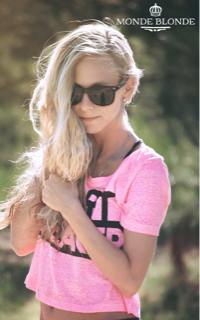 Our Blonde is as an advanced service, with only advanced level stylists or higher. We value transparency and education. That’s how we explain our approach and how we price. Blonde is the rarest natural hair color, therefore the most difficult to achieve. 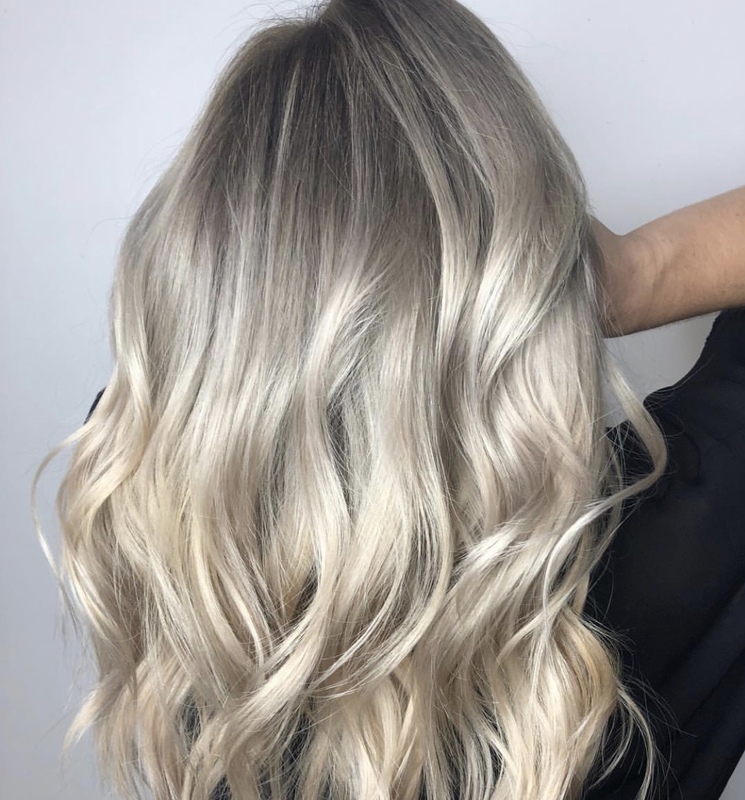 Blonde is the highest level of color work. It requires vast knowledge of color theory and science. Crafting blonde is an art. To make it a signature service requires consistent, skillful execution. 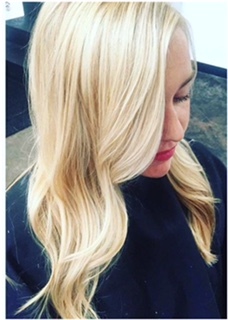 Blonde Work is what we call color work that involves lightening techniques and formulas. Global Blonde is blonde all over. It’s one of our staple services, and difficult to master. Monde Blonde is our collection of Blonde looks created with various techniques. S39 is consistently ranked as Kansas City’s top requested color salon because of the above. Our most common request is lighter blonde. We have a saying, “We can make you blonde in 6 months or 6 hours”, but going much blonder can’t be done in a standard two-hour appointment. The universal color scale is 1-10. Black is 1, blonde is 10. When formulating platinum, we refer to it as 11 or 12. It’s not on the scale because it’s not a natural hair color. 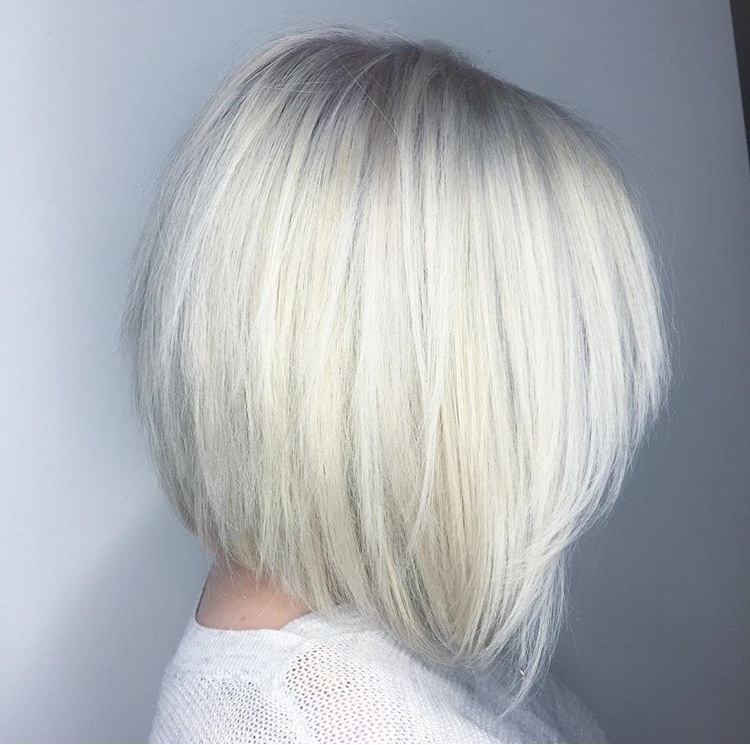 Platinum is hair is devoid of pigment which is why it reflects light. 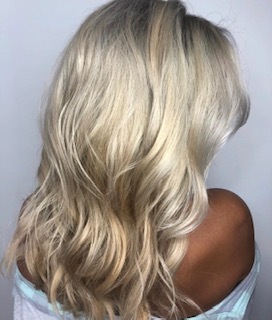 Often, we hear, “I want natural looking blonde, not platinum.” Natural blonde is a combination of high ranging levels, so platinum is necessary for contrast. Going lighter is damaging because we must chemically break down the molecular composition of hair to remove the proteins pigment attaches to. Protein is what makes hair strong so we recommend 3 levels a time and in three separate visits. Most guests want immediate results. We do this frequently, but there are variables. It needs to be done well the first time. Lack of experience and color planning is why corrective color is one of our most booked services. Hair high on the head is most resistant, lifting multiple levels requires multiple processes. Custom color needs a blank canvas and the only way for this is a process we call “global blonde”. 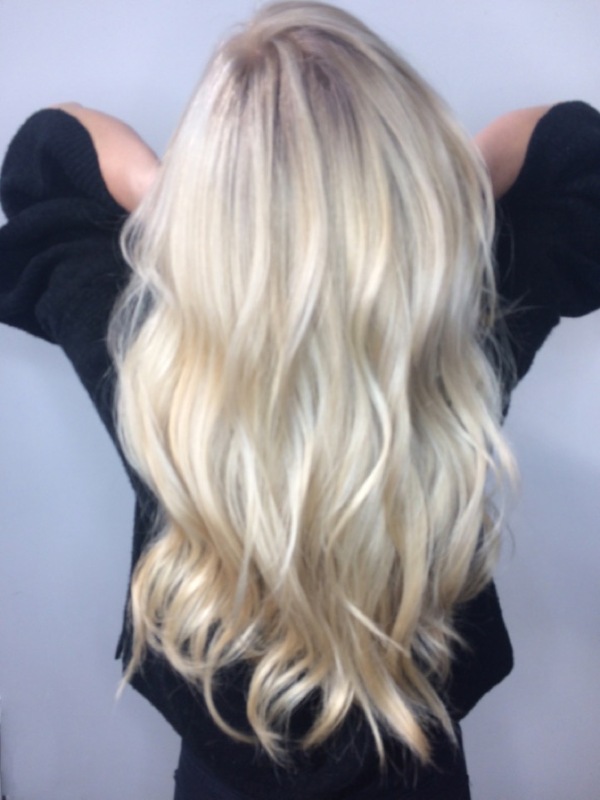 Global blonde is used to establish a foundation for many blonde looks. 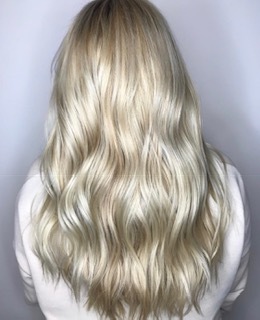 Often new guests think they just need highlights, but if you want a color that requires more than 50% blonde (most do) Global blonde followed with custom color is what we recommend. Like “bleach and tone”, most of the hair is lightened at once versus gradually. 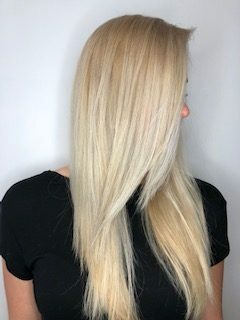 We have expanded this once traditional service with techniques and formulas so it’s less damaging than highlighting over time and you get faster results. 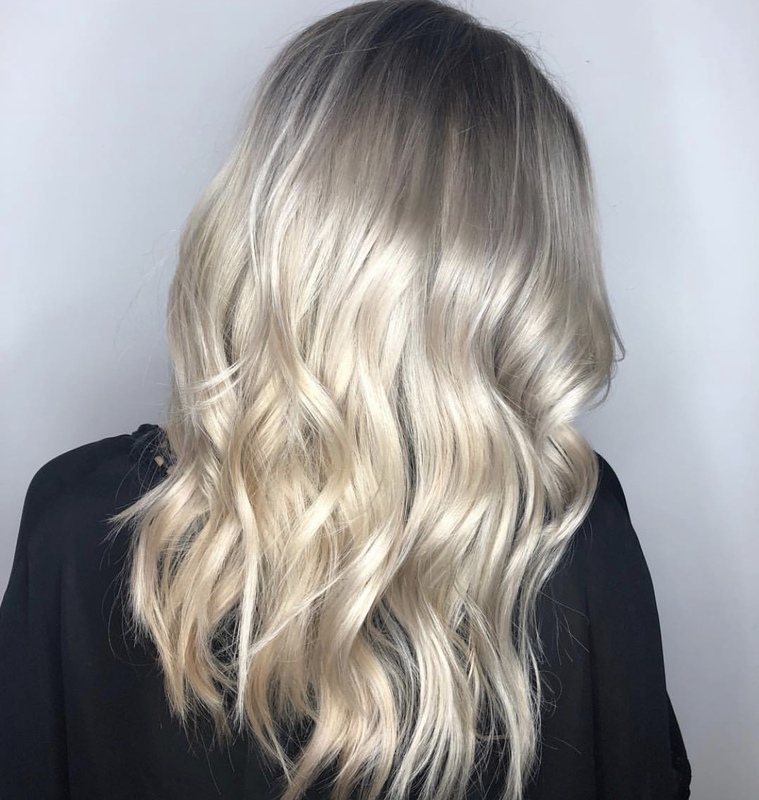 Compared to a standard color maintenance appointment, initially it can be a timely process, but if you want to see color gains or if you have previous color- there is no way around it. Twenty years ago, the average age American women started coloring hair was in their late 20’s. Today’s average is the middle teens. This fact combined with busy guests wanting faster results is why corrective color has evolved. You can read here how S39 owner Gemy Chiarizio predicted this years ago and why we expanded on this special area of color. It is now our number one service for new color guests. Getting hair light is difficult enough. Working with pre-damaged, colored hair and then customizing afterwards takes skill, confidence and knowledge. Color is both a science and an art. An advanced colorist knows formulation is chemistry, process is biology, and placement is anatomy. Understanding when to enhance, correct or balance takes an artist. Knowing how the process will unfold prior to starting comes from experience. Significant blonding is difficult work but it’s the fastest route. If done well, it’s also the safest. Global blonde is not highlighting or balayage but may be maintained with those services later. It quickly bypasses and removes unwanted tones, often used for corrective work. Used when establishing new color requiring lighter levels in large amounts. Natural pigment lightens far easier than artificial. Corrective work varies. If you’ve had previous black, brown or red color, be prepared for corrective work. Even if you haven’t colored for some time dye embeds deep in hair. If you want a big change you’ll need corrective. Corrective and blonde work are priced the same because the process is the same. When a color change requires hair to be lighter, the most work is done in the first few visits. Le Monde in French is “world” or globe. 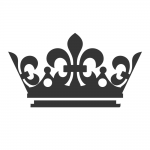 It’s also the top of a crown, used to express quality. Hair is your crown.Global is our process. Monde Blonde color looks are inspiration. These are not basic color services. If you have colored at home or if you don’t frequent a salon, it’s important to know this in advance. It’s not uncommon for us to work with assistants. For this we may use 2-3 assistants or stylists to process hair simultaneously, so the service is faster. This is easier on hair when doing multiple services, and how we safely achieve 6 months of color in a day. It is normal for us but not most salons. Few offer this type of work as openly as we do, so we charge accordingly. It takes focused attention, a great deal of labor, and unlimited salon resources. A stylist must have advanced color knowledge to attempt it, let alone get successful results. It’s a commitment to time, product and care. If we feel there is a lack of understanding to this we may not proceed. We value good communication and we’re confident in our work. We ask guests take initiative by being informed prior to service. the process. When a color consultation involves heavy blonde work, we ask you to read this and our corrective color page. Our time in the salon is best spent giving you gorgeous hair. If you read the information we provide prior, it saves time and money in the salon. It is our job to present you with options. We are an experienced salon, but there is a certain amount of trust we need to get what you want. The artistic part of our brain starts envisioning how we can improve your hair when you sit in our chair. Quoting price and time is another reason we do a consultation prior. Our goal is to do whatever it takes to get the hair you want so you feel good about your hair. Color change has variables, so we charge a flat hourly fee on initial visits that require changing or establishing color. Only advanced stylists or higher book this type of work. If there is any confusion on price, please ask. We can assess whether the service is right for your hair, but not your wallet. Most unhappy color visits are a result of poor communication and unrealistic expectations. We disclose information before, so we don’t apologize on cost later. If price or time is an issue, we may present alternative color options. These are slower and less productive but also safer. We find many clients thoughts on how color performs on hair is inaccurate, especially blonde. If we suggest Global Blonde, we feel it’s the best approach for the best results. If you opt for slower and more affordable service options please keep expectations realistic. Sometimes guests book a consult thinking they need corrective work and they don’t. Either way we will tell you. We have no desire to do an aggressive color unless necessary. Certain colors call for certain techniques and we only feel comfortable choosing the best way to do it. We love when guests are open to different color and style suggestions. If you want something new we can suggest something for you. 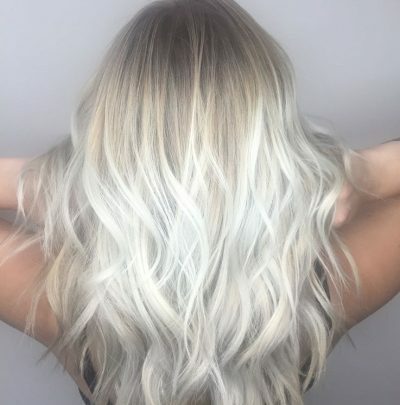 The only time we don’t offer color guarantee is if someone opts out of our top recommendation after saying all this, and they still call back in the first 2 weeks to get blonder. In that case we only proceed if hair is healthy enough and on our hourly color rate with the understanding, we will do the process we feel is best. Once a color and customer relationship are established, we give every guarantee and VIP service. Blonde is a process we know well. We prioritize hair health which is why we offer work on this level. The two key factors are your hair condition and your budget. 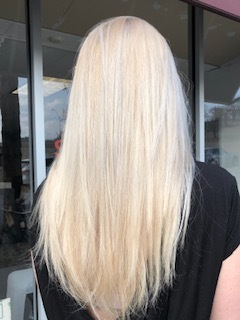 If we advise global blonde or corrective work, we feel it’s the best choice for what you want, and your hair, and it will save you from paying more over time.